Steve graciously put the hard yards in with google maps and streetview to plan our route. 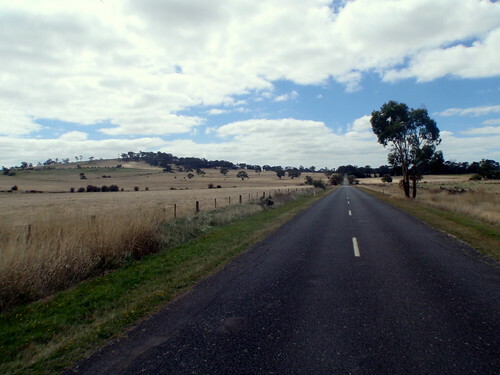 The idea simply being to ride back roads through to Bendigo. 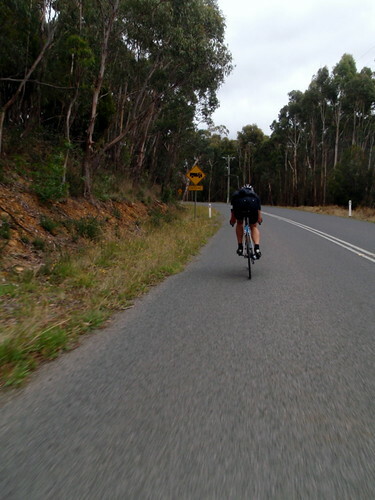 At some stage during the planning he decided that 180 odd km wasn't enough for the day, so routed us over Mt Macedon. I'd never ridden it, and surely (like always) the profile graph wasn't as bad as it seemed. Steve's gps disagreed and tried to give us every turn off leading into it, "GO LEFT!" it beeped, "ok... take THIS LEFT!" and finally "Fine, there's no more lefts... U-TURN!!!". We stayed the course and were met with a climb neither of us were expecting... and I still had TT chainrings on. I'd like to tell you the descent rewarded the sweat the climb extracted from us, that gravity gave back as good as it got, that we grinned from the joy of carving turns in the glorious blacktop. Sadly I can't, really what happened was we fell down the back of the hill with the grace of stranded whales. Now over the hump of the ride (my dad would be so proud of that pun), all that was left was to ride through the physical and emotional ups and downs of the route. 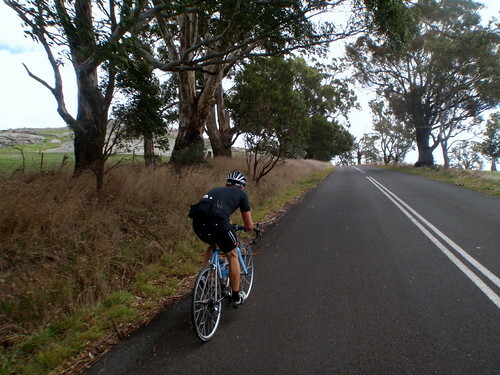 By the time we reached the edges of Bendigo, both of us were feeling strained, we needed something to get us the final few pedal strokes. A mars bar? A snickers? A paddle pop!